Three-day rental is $65. This includes a birthday balloon and a card from the sender. 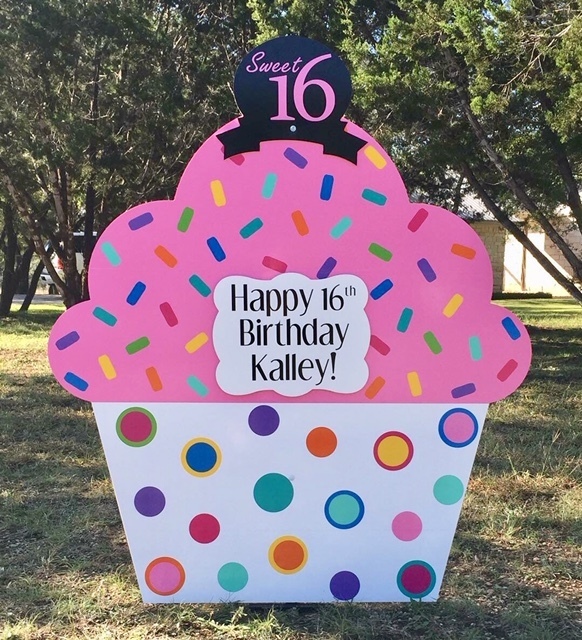 Cupcake Rentals are 4 ft. tall and 4 ft. wide. For a child's cupcake- choose a single candle, a 12" red number(1-9), a red fire truck, a princess crown, or a cherry -shaped topper( as in the photo). You choose the attached message.